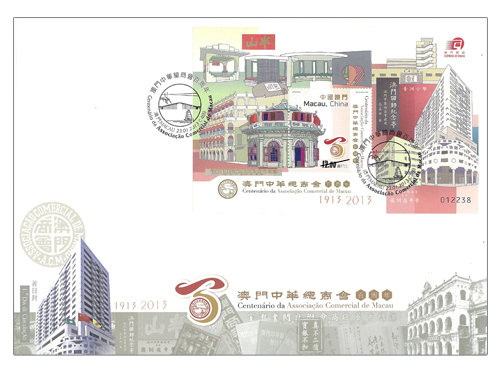 The Macao Chamber of Commerce was established in 1913. 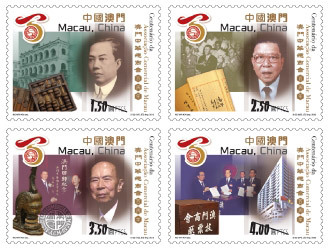 In the past 100 years, the association has been uniting the industrial and commercial sectors, driving the economic development, promoting further cooperation, serving the society, caring the people’s livelihood, promoting the social developments and making great contributions for Macao. 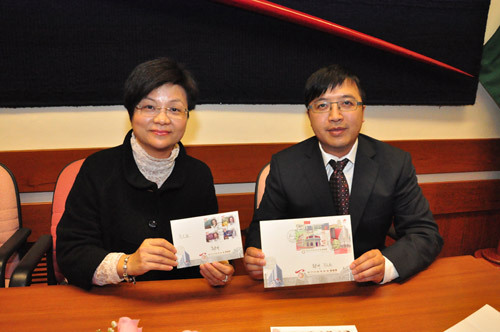 The Chamber has been widely recognized and highly appraised by the society of Macao. 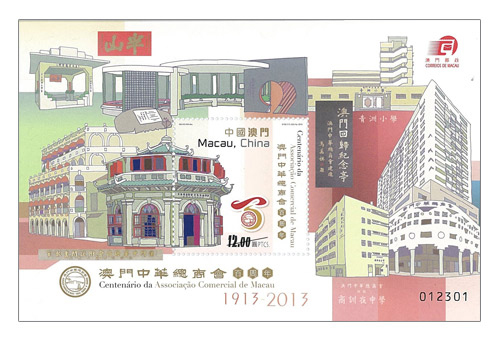 This year marks the centenary of the Association, Macao Post will issue the stamp theme “Centenary of the Macao Chamber of Commerce” on 23rd January, 2013 to commemorate this historic milestone. 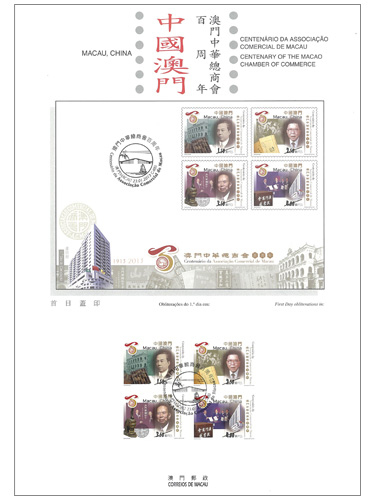 This issue includes a set of four stamps and one souvenir sheet, the images depict the history of the Association over the 100 years. 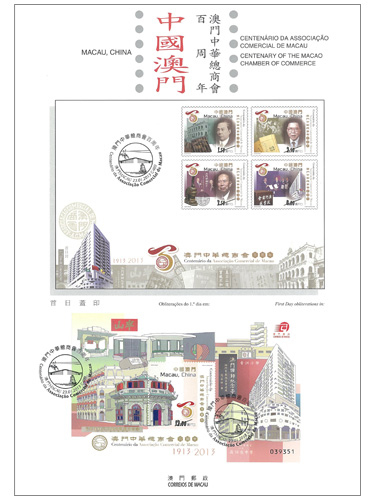 The stamp designer of this issue is Mr. Ng Wai Kin, and the text of the information brochure is written by the Macao Chamber of Commerce. 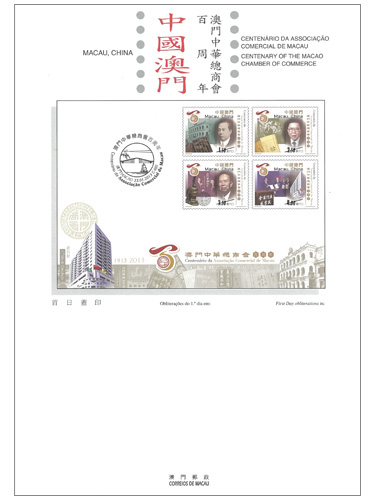 This is the second issue in 2013. 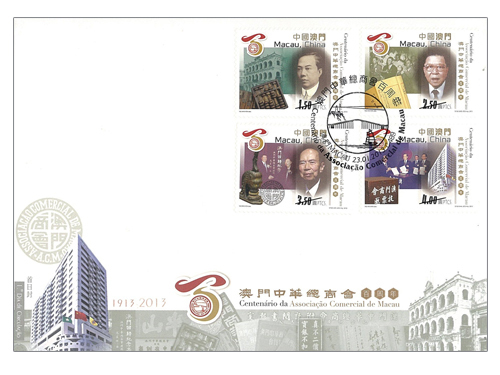 The previous issued stamp is “Lunar Year of the Snake” on 03/01/2013.